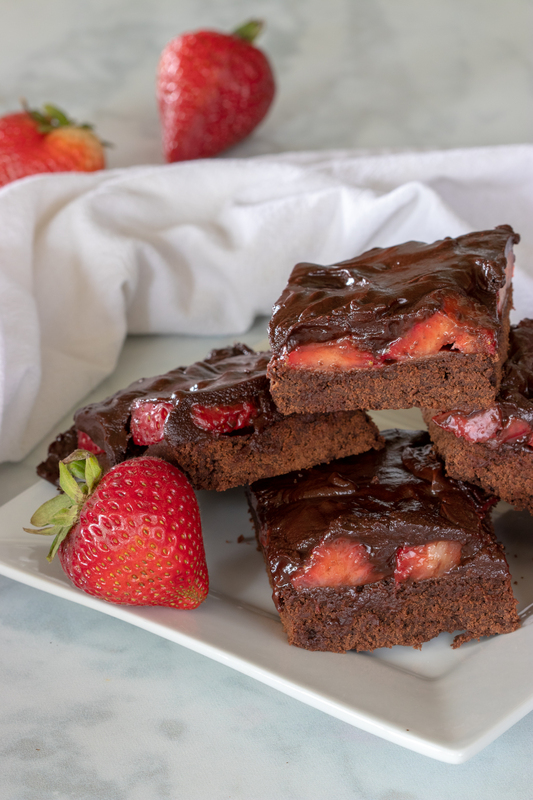 Have you ever had Strawberry Brownies? 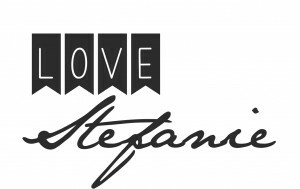 So often strawberries and chocolate are eaten together as a complimentary dessert. I took the thought of chocolate dipped strawberries and converted it into a brownie. 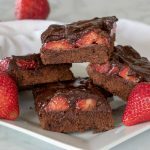 These chewy, chocolate brownies layered with fresh strawberries and more chocolate is decadent and delicious! 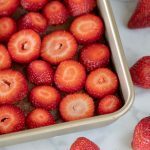 What I love about these Strawberry Brownies is that it incorporates a healthy fruit into a much loved dessert by many. 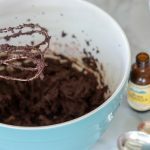 There is no going wrong with this recipe, it is like eating chocolate dipped strawberries on top of your favorite brownie recipe! With just a few simple ingredients you have in your cupboards already you will be on your way to a crowd pleasing dessert. Preheat your oven to 350 degrees Fahrenheit. While the oven is heating up grease an 8 x 8 pan with some butter. Add the melted butter, sugar, eggs and vanilla into a mixing bowl and mix. Add in the cocoa, flour, pinch of cinnamon, salt and baking powder to the mixing bowl and blend. Be careful not to offer mix. 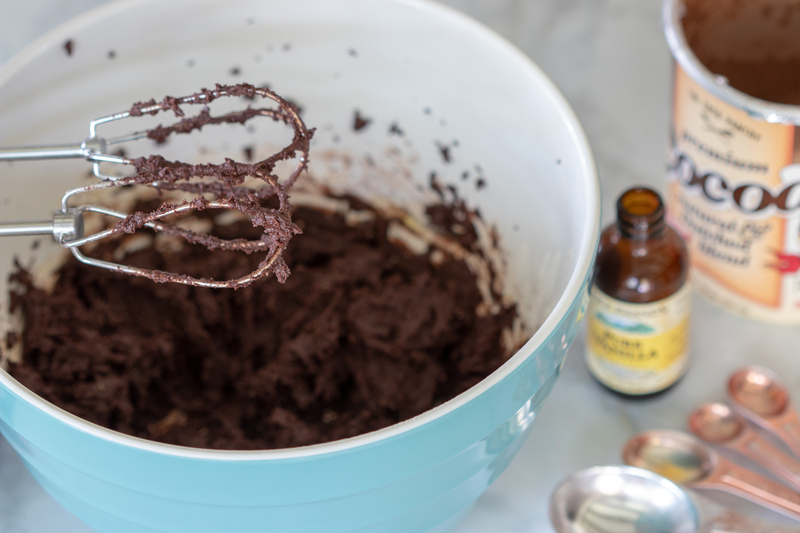 Spread the brownie batter in the pan and place in the oven to cook for 20-25 minutes. 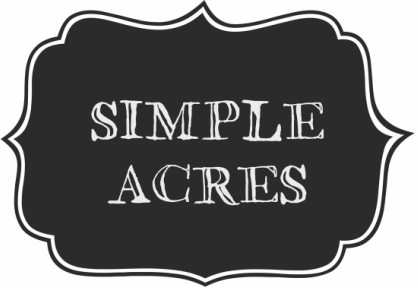 Test to see if it is done by placing a toothpick in the center. If your toothpick pulls out clean your brownie is done. Slice enough strawberries to cover the top of the brownies. 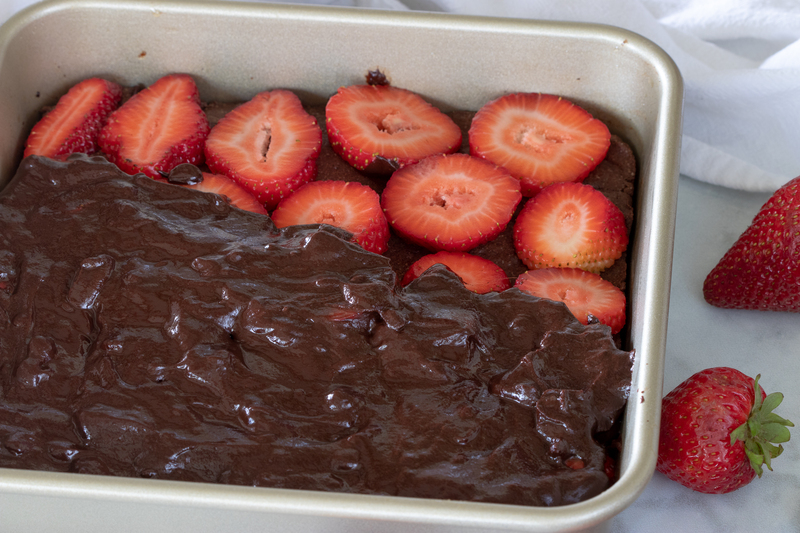 Set brownie pan with sliced strawberries to the side. Melt chocolate chips in a small cooking pan with whole cream over low heat until fully melted. This should take about 5 minutes. Spread chocolate mixture over strawberries on the brownie and chill in the refrigerator for 30 minutes. Remove Strawberry Brownie from refrigerator and cut and serve. Enjoy! A complimentary mix of strawberries and chocolate in a new way. Add the melted butter, sugar, eggs and vanilla into a mixing bowl and mix. Add in the cocoa, flour, pinch of cinnamon, salt and baking powder to the mixing bowl and blend. Be careful not to offer mix. Spread the brownie batter in the pan and place in the oven to cook for 20-25 minutes. Test to see if it is done by placing a toothpick in the center. If your toothpick pulls out clean your brownie is done.Remove brownie from oven.Slice enough strawberries to cover the top of the brownies. 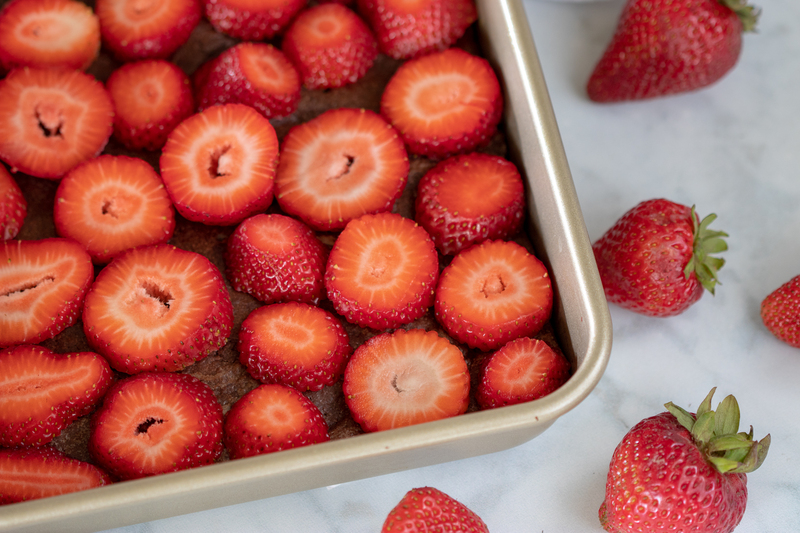 Set brownie pan with sliced strawberries to the side. Melt chocolate chips in a small cooking pan with whole cream over low heat until fully melted. 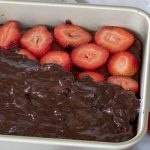 This should take about 5 minutes.Spread chocolate mixture over strawberries on the brownie and chill in the refrigerator for 30 minutes.